Which are the best robotic mowers – We have the answers! Check out our in depth reviews and advice now. 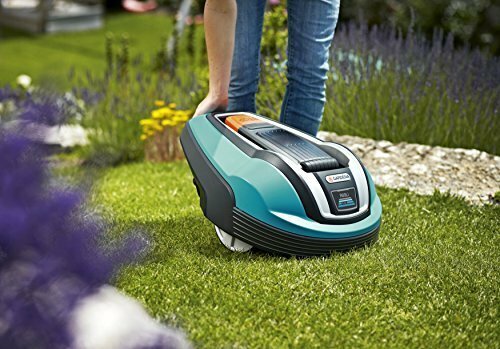 What is a Robot Lawn Mower & Why Should You Buy One? For those brand new to robot lawn mowers, this page is perfect. I’ll be explaining exactly what they are and why you need one. Searching to find the best cordless lawn mower for your small yard? With hundreds available on the market we are here to help. 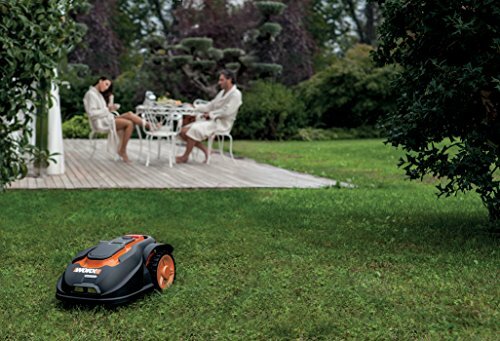 Robotic Lawn Mowers Are The Way of The Future. Here to help you find the perfect Robotic Mower. In order to help you find a mower for yourself, I've reviewed a variety of different models - all of which have been designed for specific types of lawns. Now this can make it difficult to choose between them but I've made it easy. By clicking below, you'll be shown a list of all of my reviews according to garden size. This way it'll be easy to pick the one(s) that are suited to you. If you're in the market for a robot mower then you better check it out! Great, that's why I'm here! If you have any questions about the website or any of the robotic mowers we have on here, then please get in touch by clicking through below. Don't worry if you are, I'm here to help! Just click the button below to be taken to a series of articles which explain what they are, how they work and why you should consider investing in one. All models are electrically powered so instead of emitting nasty fumes like regular petrol mowers, they'll keep the air clean! Because they take complete control of your lawn, they save you the time and bother of mowing yourself. As they are cutting your grass on a continual basis, they are able to produce & maintain a perfect finish. 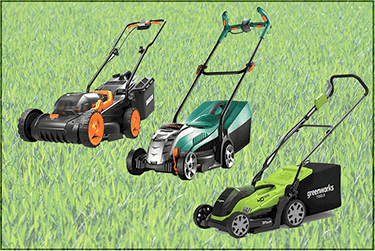 Thanks to their mulching effect, these mowers will gradually make your lawn look greener, thicker and healthier. As they will have mapped out your entire lawn, these mowers work independently without needing any assistance from you - so just kick back! All robotic mowers operate so much quieter than regular mowers than I doubt you'll hear it working! What is Easy Lawn Mowing? Basically... it is a blog/review site dedicated to helping you become the envy of all your neighbours by providing you with a robotic mower. But if you'd like to learn a little more, then click the button below to head over to my About page. If you're not aware of the difference in quality between a robotic mower and a regular push mower then you need to check out the video to the right. In it you'll be shown two areas of lawn: one having been mowed by a regular mower and the other by a robotic mower. Making the comparison as clear as possible. So if you're still a little skeptical then please watch! © Copyright 2018 EasyLawnMowing | All Rights Reserved Affiliate Disclosure If you find this page helpful and would like to support my work please use my links when you purchase a product reviewed on this site & mention EasyLawnMowing.co.uk in any reviews. Some of the links in this blog are aafiliate links meaning I will get a small commission. Of course, this is at no extra cost to you, but it does help me to keep keep bringing you great lawn care reviews. I truly appreciate your support in this way. Thank you. If you would like to learn more about affiliate marketing visit http://paidforadvertising.co.uk/ Amazon As an Amazon Associate I earn from qualifying purchases. EasyLawnMowing.co.uk is a participant in the Amazon Services LLC Associates Program, an affiliate advertising program designed to provide a means for sites to earn advertising fees by advertising and linking to Amazon.co.uk, Endless.com, MYHABIT.com, SmallParts.com, or AmazonWireless.com. Amazon, the Amazon logo, AmazonSupply, and the AmazonSupply logo are trademarks of Amazon.com, Inc. or its affiliates. I choose to have affiliate links with Amazon because it is my favourite online shop for all kinds of products and delivery is fast and reliable. Thank you!